Assists in determining a plan of action. Besides these key points, there are several other reasons why reporting claims early is considered as extremely important. 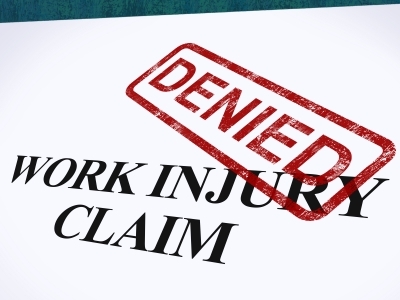 The following guidelines will help you understand the necessity of prompt reporting of workers’ compensation claims. Minimizes Cost: Delaying the reporting of claims is not advisable as it enhances superfluous costs for employers. The slightest delay in reporting claims results in higher costs; therefore, one should promptly report claims instead of procrastinating. Prompt reporting of claims can save almost 22% of your settlement costs. Proper Medical Care: Reporting claims promptly, the injured employees can be provided quality medical care at the earliest and at the best clinics. The coordination between the management team, health clinic and insurance carrier helps drive supper injury management. Facilitate Quicker Healing: Early reporting of injuries also allows the injured employee to derive medicinal treatment at specialized medical clinics that are dedicated to treating workers’ compensation injuries so as to facilitate quicker healing. Detects Red Flag Indicators: Early reporting of claims allows one to detect red flag indicators for hoax. It also enables you to figure out if a specific case requires to be investigated or if you can pursue subrogation against a neglectful third party. Indicator of Deficiencies: The most important benefit of reporting claims early is that they can act as indicators of certain important deficiencies pertaining to safety management. Once the deficiencies are identified, they can be corrected so as to prevent similar accidents in the future. Boosts the morale of Employees: Accidents and similar incidents can disturb the mind of your employees; therefore, as an employer, it is imperative for you to ensure them that you care about your employees and are concerned about their safety. Early reporting of a claim works wonders in preserving the morale of your employees. It also strengthens their trust besides lifting their spirits. Early reporting of claims also enables the claim adjuster to ensure that the important evidences are preserved. It also ensures that a timely investigation is conducted including interviews with the witnesses. With the above six benefits to early claim reporting, it’s no surprise that the early in this case is the better.